I love this quote. Such a wise man, in so many ways. Definitely! He's a very quotable person. This is a good quote. I think I'm there. 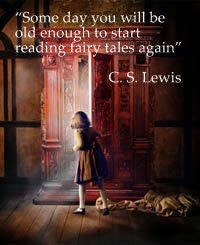 I love fairy tales and kind of wish my life were one, lol. I can't remember a time when I wasn't reading Fairy Tales.